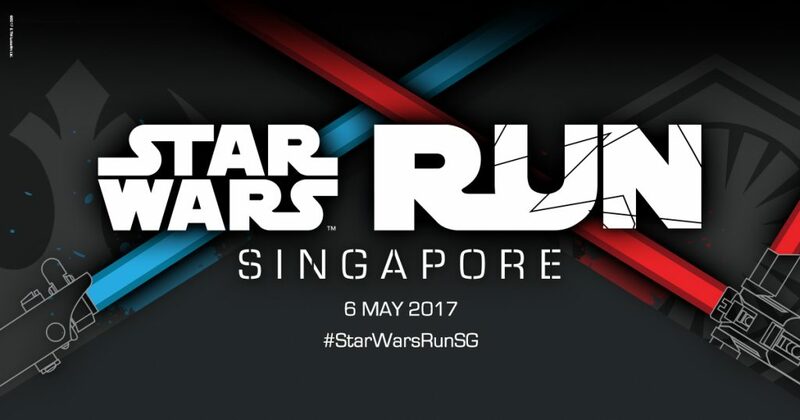 A Star Wars-themed run is due to take place in Singapore on May 6 as part of 'May the 4th' celebrations this year. Participants can choose to run either a 4.5 km route, where runners can decide whether to join the Rebellion on a "Light" side track or whether to take a walk on the "Dark" side with the Empire. Runners can also compete in a more challenging 10km route if they so choose. Each participant will be eligible to obtain an exclusive 'Light' or 'Dark' side bundle of running gear. The bundle includes a drawstring bag, towel, plush toy and a limited edition finisher's medal for the 4.5km and 10km run respectively. Exclusive Star Wars Run bundle: Light side (left), Dark side (right). The run is being jointly co-ordinated by the Walt Disney Company Southeast Asia and the local race organiser Esprimo. Part of the reason behind the organisation of the Star-Wars themed run is the fact that this May will mark the 40th anniversary of the cinematic release of Star Wars Episode VI: A New Hope. Early-bird registration commences today until March 12. Ticket prices have started at $65 for the 4.5km track and $70 for the 10km run.